Wizz Air Hungary Airlines is a Hungarian low-cost airline with its head office on the property of Budapest Liszt Ferenc International Airport in Budapest. The airline typically uses secondary airports serving many cities across Europe. 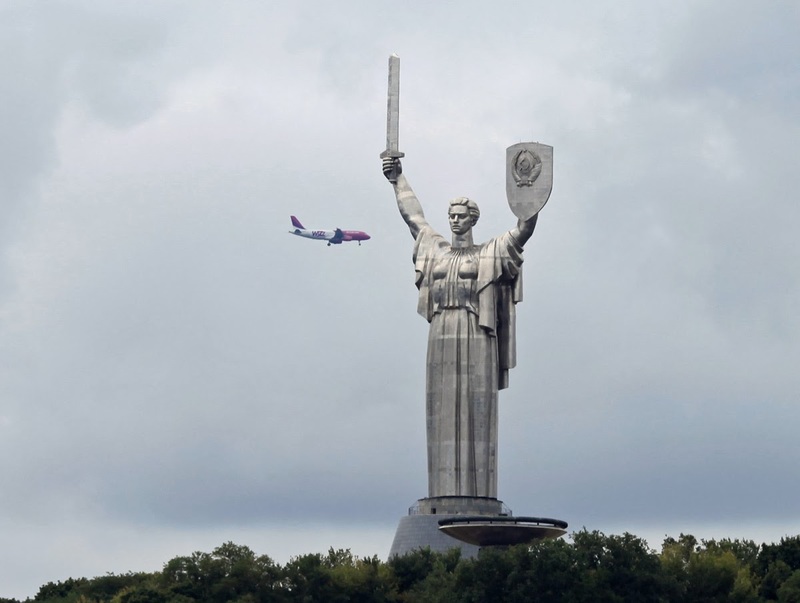 Mother of the Motherland is a monumental statue in Kiev, the capital of Ukraine. The sculpture is a part of Museum of the Great Patriotic War, Kiev. Designed by Yevgeny Vuchetich, the stainless steel statue stands 62 m (203 ft) tall upon the museum building with the overall structure measuring 102 m.